Having the flexibility to remotely control your mouse and keyboard is a seamless experience. Sure, it can be done with devices like a Bluetooth keyboard or mouse, but when doing a very important presentation on a big stage, or lying on a couch watching an exciting game on your 42″ TV monitor linked to your computer, you’d want to take comfort into account, won’t you? No doubt everyone’s comfortable with the thought of using the common mouse to control your cursor, and the keyboard for typing, but who can say that having the same control of both cursor and typing abilities from a phone is not more interesting? 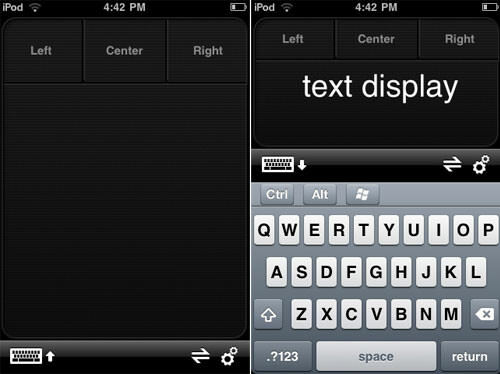 Yes there is an app to turn your iPhone into a functional mouse or keyboard, and that’s when TouchMouse comes in handy. TouchMouse is a free iOS app, which will allow you to remotely control your cursor as well as provide an alternative keyboard. In this tutorial, we will guide you through the steps of turning your iPhone into a mouse and keyboard. The first thing you need to do is to install TouchMouse on your computer. TouchMouse is available for PC and Mac. Head over to the download page and proceed to installation. The second step you need to do is to install TouchMouse on your iPhone device from the iTunes store. You need to connect the two devices to the same hotspot. Switch on the iPhone’s built-in hotspot, and connect your computer to the same hotspot. When the installation and connection has been set up, launch TouchMouse app from your iPhone and your computer will be visible for selection. Tap on your computer name on the list to start using it. Now your iPhone is ready to control your computer’s mouse and keyboard. You can use TouchMouse for pointing, clicking and scrolling, as well as typing. 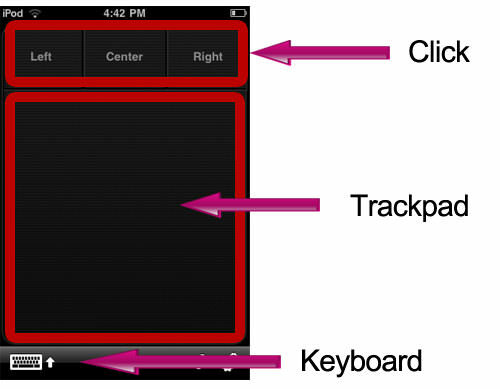 TouchMouse is a simple app with clear functions that mirror those of the mouse’s: point, click and scroll. On the click pad are 3 buttons for the left click, center click and right click functions. For typing, simply click on the keyboard icon and your iPhone Qwerty keyboard will appear. Having your iPhone remotely control your computer can leave a good impression with people; this understandably works great for (cool) presentations. The normal pointer device is definitely another alternative, but having all your controls in one device is definitely much easier. For our Android phone lovers out there, we have another quicktip where you can turn your Android device into something similar. Stay tuned for that article coming up soon.